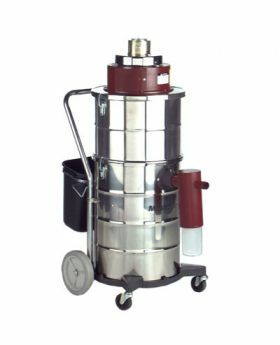 Minuteman Mercury Vacuums are specially designed for to recover elemental mercury and mercury contaminated particulate. The MRS series vacuums features a carbon filter for eliminating toxic mercury vapors during the clean up process. MRS Vacuums are extremely portable and highly maneuverable. Their U.L.P.A. filters are 99.999% effective at 0.12 microns and each model contains a large capacity activated carbon filter. Available in wet or dry models.